Islamic State (IS, formerly ISIS/ISIL) fighters in Iraq have reportedly killed 8 Dutch jihadists following a month-long altercation with a group of foreign fighters which involved shootouts and deaths on both sides, activists report. "Daesh (Arabic acronym for IS) executed eight Dutch fighters on Friday in Maadan, Raqa province, after accusing them of attempting desertion and mutiny," wrote Abu Mohammad, a citizen journalist from Raqqa is Being Slaughtered Silently (RBSS) on his Twitter page on Monday. — Abu Mohammed (@Raqqa_sl1) 29 февраля 2016 г. Tensions between Iraqi IS leaders and a group of about 75 fighters of Dutch origin have been rising since the Dutch established a zone in the Al Furusiya area of the terror group’s stronghold of Raqqa as their headquarters. Iraqi IS commanders sought to thwart their attempts at relative autonomy by capturing an ‘instigator,’ who allegedly called on others to flee. After another such capture led to the death of a Dutch fighter during an interrogation, the internal conflict intensified, ending up in a gunfight. The foreign fighters reportedly complained that “the Iraqi leadership started to behave arrogantly with the Europeans and robbed their rights in favor of the Iraqi fighters,” according to Mohammed. In a bid to appease the European jihadists, Iraqi leaders sent their representative to settle the issue. However, the intermediary was not welcomed and was apparently slaughtered in reprisal for the killing of the Dutch fighter. 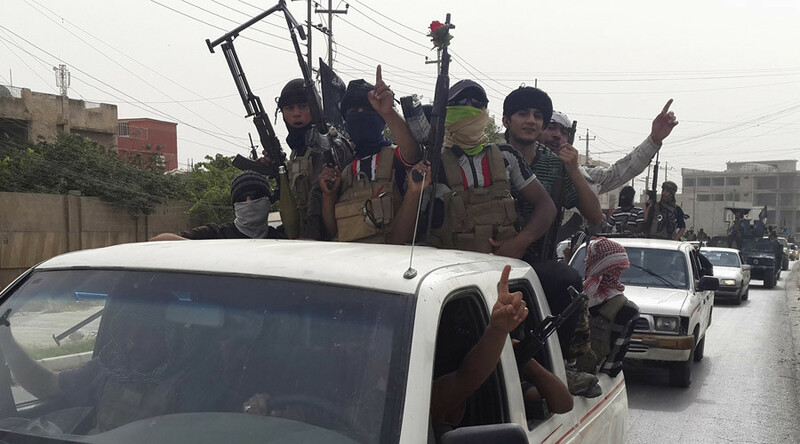 In the aftermath of the attack senior IS leadership in Iraq ordered the arrest of all members of the Dutch cell. As the Iraqis tried to enter the zone, they faced armed resistance from the Dutchmen which saw several gang members killed and wounded on both sides. On Friday, eight out of 72 jailed Dutchmen were executed “after being accused of incitement against ISIS,” according to RBSS. Last year the Dutch secret services reported that around 200 Dutch fighters have joined Islamic State in Syria and Iraq. 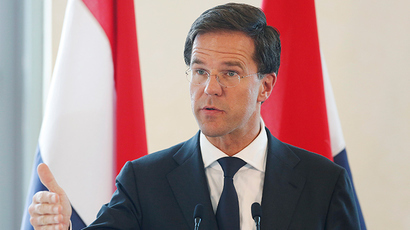 Mark Rutte, the Dutch prime minister, has previously stressed he would prefer radicalized Dutch nationals to die in Syria rather than return home. “The only aim is to kill as many people as possible. Those people will soon be back to carry out attacks here as well. As prime minister, I am here to protect our people,” he said in March last year. Between 3,000 and 5,000 jihadists trained in IS terror camps are freely wandering around Europe, according to Europol estimates. Rob Wainwright, Europol’s director, has said the terror threat to Europe is at its highest in more than a decade. Since the start of the Syrian civil war in 2011, it is estimated that between 25,000 and 30,000 ‘foreign fighters’ have left for Iraq and Syria, with Europe accounting for 21 percent of the total number.